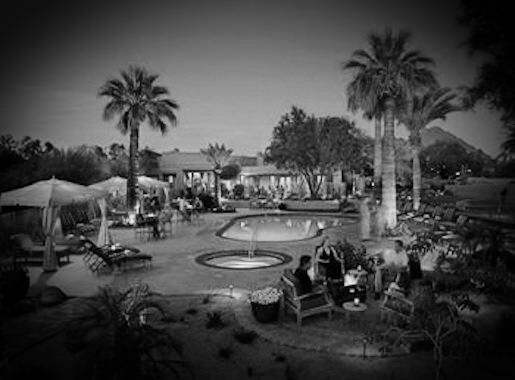 The hacienda-style Hermosa Inn, located in Scottsdale, Arizona stands on more than six acres of lush desert close to Camelback Mountain. It is the perfect place to escape to if you are looking for enjoyment, relaxation and perhaps, a ghost or two. Alonzo Megargee, the original owner of The Hermosa Inn, apparently did not want to leave his home after he died. Guests and hotel staff have reported seeing the lanky cowboy in the inn. He is also believed to be the culprit behind toilets flushing on their own, he’s also known to break glasses and bottles late at night. Sales manager Lindsey Bubeck has reported encountering the ghost of “Lon”, appearing as a shadow wearing a cowboy hat. Although not as well known as the other hotels in the area, the Hermosa Inn, near Camelback Road and 32nd Street, continues to draw a lot of guests. It is a hotel which is highly regarded by various travel companies, including AAA and Fodor’s. It has also been included in the National Trust for Historic Preservation. The Hermosa Inn started as a studio of adobe bricks made by artist and cowboy Alonzo Megargee which he called Casa Hermosa” or beautiful house. In order to supplement his income as an artist, he ran a guest ranch. Succeeding owners of the ranch then decided to call it Hermosa Inn. They added various amenities to make the inn a lot pleasing to guests. They added villas, tennis courts, pools and casitas. However, in 1987, the original building was severely damaged by a fire. The current owners of the inn, Jennifer and Fred Unger, purchased the property in 1992. They made a lot of renovations and restorations before reopening the inn in 1994. They also added a restaurant in the inn, “Lon’s at Hermosa”, named after the inn’s original owner. Today, the Hermosa Inn has 34 modern freshly decorated rooms. It still has the original rooms or ranchos; larger single rooms or casitas; one bedroom or deluxe casitas; and one bedroom suites or grande casitas. The Hermosa Inn was featured in the movie Waiting to Exhale, Whitney Houston was seen in the movie celebrating dinner in Lon’s main dining room. Lon’s at The Hermosa Inn offers gourmet American Cuisine. Customers also have the luxury of eating in the patio near glowing fireplaces. The restaurant also has an award-winning wine collection. Aside from enjoying a wonderful meal in the restaurant, as well as cocktails in the bar, you can also check the restaurant’s underground wine cellar. If you are an avid golfer, you will be very happy to know that The Hermosa Inn has arrangements with various world-class golf courses in the Scottsdale and Phoenix area. If you want to play golf while staying in The Hermosa Inn, you can ask the hotel’s concierge. The Blue Door Spa is the gateway to relaxation and pampering. The contemporary Zen experience will delight your senses. You can get a spa and a massage in the adobe casita, one of the original structures at the Hermosa Inn. You can choose from ashiatsu, custom massages, reflexology, deep facial cleansing and other healing treatments. The area also has several choices of art galleries and museums. Arizona, after all, is the home of the world-renowned Heard Museum, Taliesin West, as well as Frank Llloyd Wright’s winter home. Ladies will be very happy to know that The Hermosa Inn is located within minutes of some of the best upscale retailers.